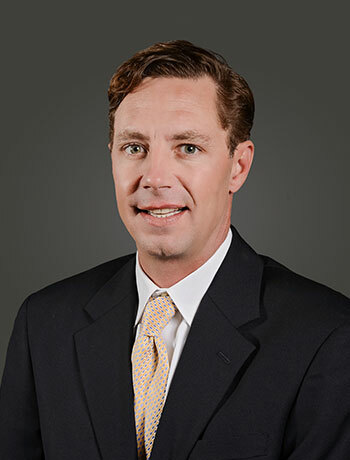 Austin Earhart has been a multi-million dollar producer in the Louisiana market since 1998 when he earned NAI Latter & Blum’s company-wide highest honor for a first year agent. Austin Earhart has quickly become the regions foremost retail expert specializing in tenant representation of national retailers, landlord representation, lease negotiation and shopping center leasing and disposition. He has developed an innovative information system for tenants (over 50,000) and retail spaces that allow him to track businesses by lease expiration, location, industry type, and other parameters as well as a property system that tracks major shopping centers to determine vacancy and absorption trends. He also regularly closes deals in all aspects of commercial real estate including industrial, office, land, and investment sales. Austin Earhart has worked with many of the nations leading retailers including Wal-Mart, Lowes, Whitney National Bank, AmSouth Bank, Mid South Bank, Fed Ex Kinko’s, Starbucks, Xerox, Best Buy, Eatel, Rally’s/Checkers, Walgreen’s, Papa Johns, Nextel, and Hobby Lobby. Austin’s landlord representation includes institutional and local owners with shopping center sizes ranging from 5,000 square feet up to major power centers. He has continued to receive numerous awards and honors as well as outpace the competition with several records to his credit. He is a regularly published writer as a retail expert in national trade magazines.